The past few years has seen the rise of Manchester, which has become one of the leading destinations for shopping and lifestyle in the UK. 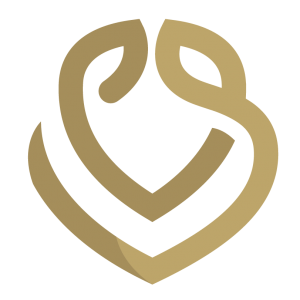 With a wealth of accommodation available to choose from, it can be hard to know where to look for the perfect hotel. 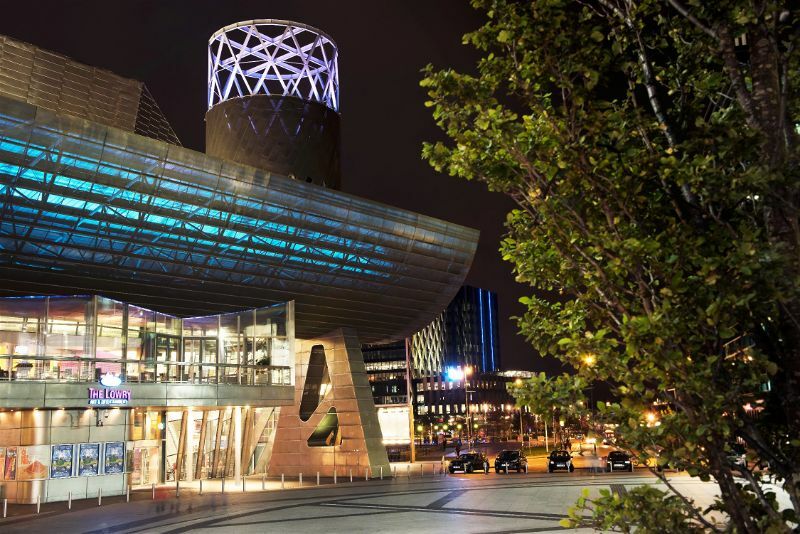 Going beyond your wildest dreams, The Lowry in Manchester dares to be different. 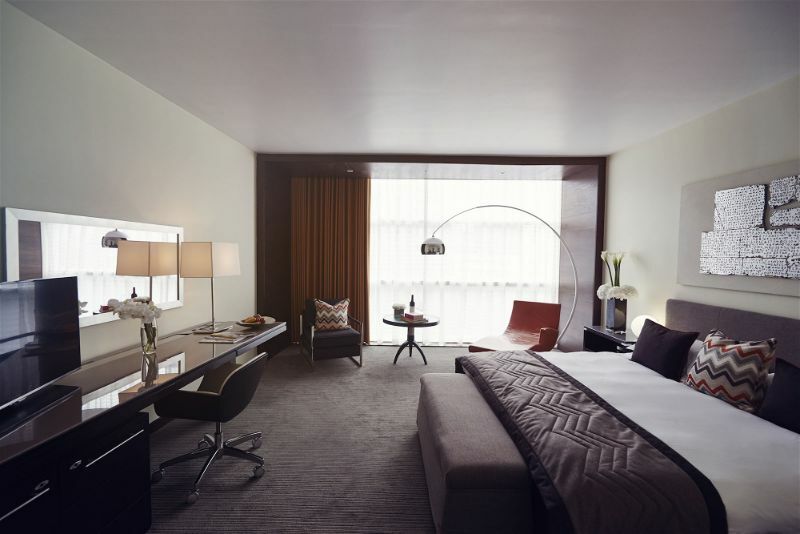 Offering exceptional service with a generous splash of finesse, the Lowry Hotel is sure to stick in your mind. Situated in the heart of Manchester on the banks of the River Irwell, the hotel overlooks the Manchester skyline with its gleaming glass front and unique build. 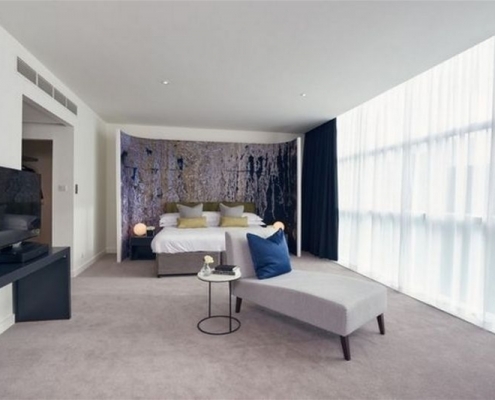 Filled with luxury, the rooms and suites at the Lowry Hotel present a new level of sophistication combined with a unique urban style. Featuring sumptuous beds topped with silky duvets and plump pillows, the Deluxe King rooms are ideal for gaining some much-needed rest. Alternatively, most suited for some essential preparation is the Business Executive suite, which doubles as a peaceful working space as well as a place to kick back and relax after a long working day. With super speed WiFi and a state of the art coffee machine, clients are sure to feel well rested and prepared for the day ahead. 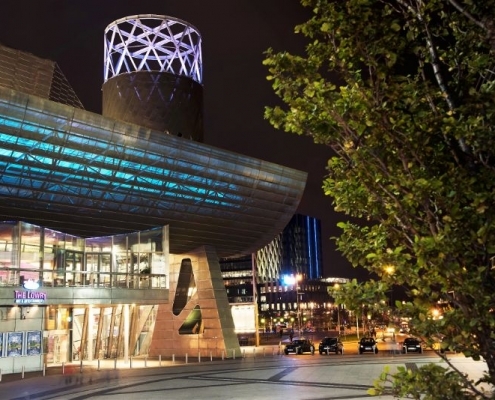 Customers don’t even have to step outside the hotel to wine and dine in a stunning setting as the Lowry presents several fine dining options, including the River Restaurant. Overlooking the river, customers can experience the gorgeous glow of the rising and setting sun over Manchester whilst experiencing exceptional food and service at the River Restaurant. Whilst the River Bar provides a stylish space with just the right amount of chic to enjoy the city’s views with zingy cocktails and the finest of wines. The Lowry Hotel in Manchester also serves as a unique wedding venue. Offering wedding packages, which are perfectly created for a seamless celebration, the Lowry ensures that your day is completely hassle-free and memorable. With beautifully light and airy spaces and bespoke decorations, the Lowry Hotel can make your wedding dreams become reality. A variety of packages are also available exclusively at the Lowry Hotel Spa. With six spacious treatment rooms, customers are guaranteed to leave the spa feeling reenergised. Guests can also keep up with Lowry’s gym, which has been created with the latest Technogym equipment. 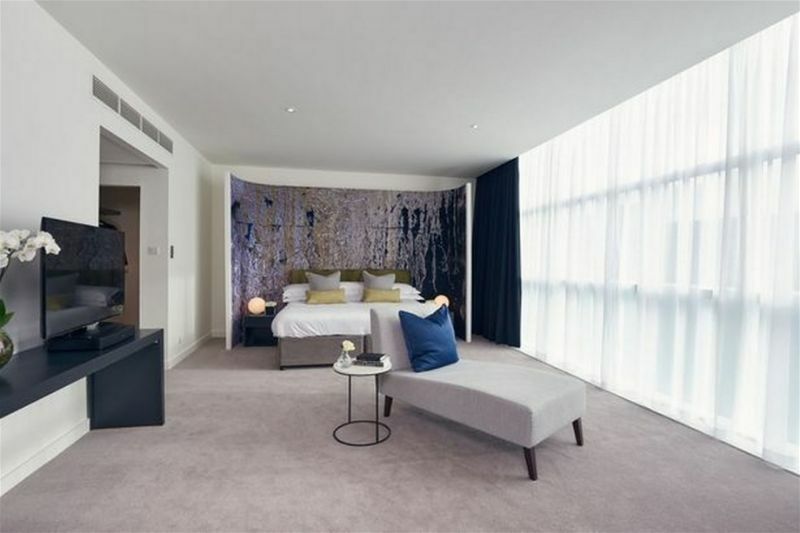 Recently voted one of the best locations to stay in Manchester, the Lowry Hotel serves as a haven for peace and serenity and is sure not to disappoint its guests. 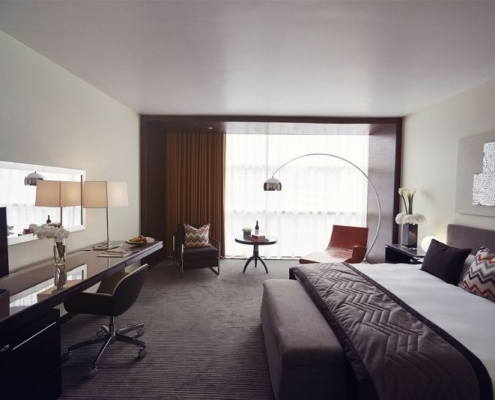 Exuding style and class, the Lowry Hotel will be the hotel that you never want to leave.